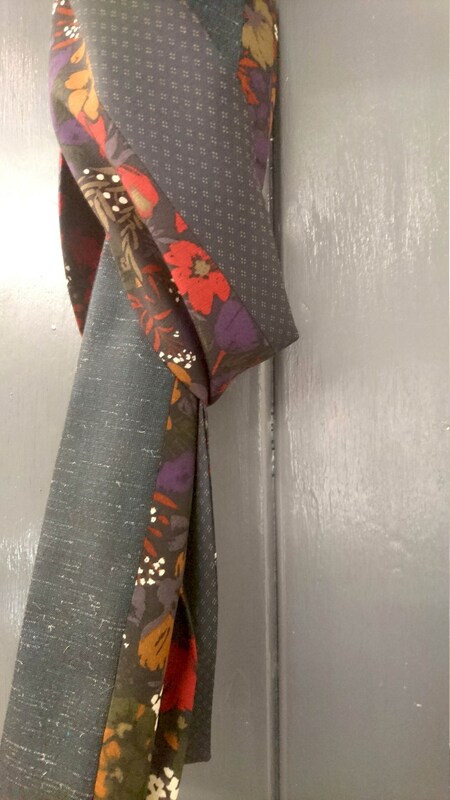 Men's narrow scarf, men's patchwork scarf, mustard and rusty red floral wool, geometric wool and navy blue Japanese wool men's narrow scarf is made from vintage fabrics and will make a great Christmas gift for men. 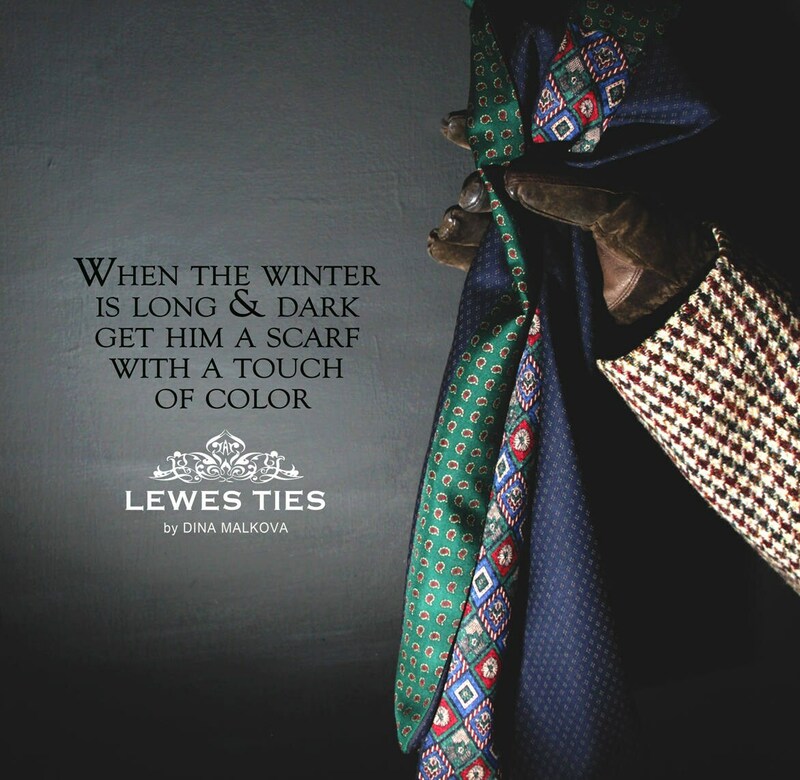 The length is 180cm and width 18cm. 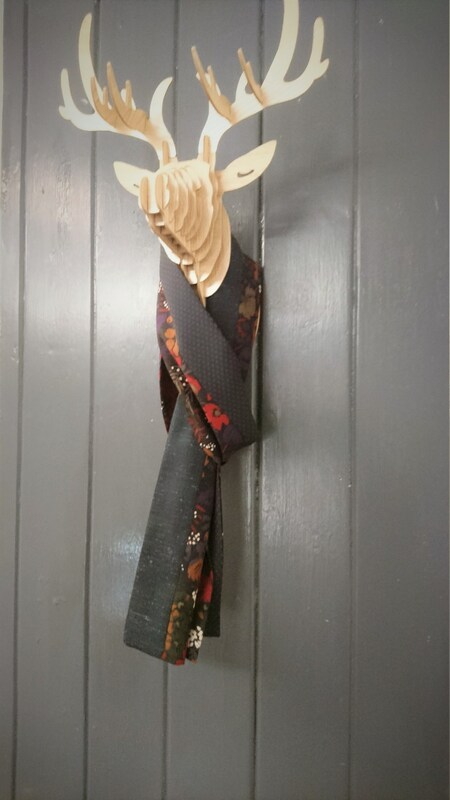 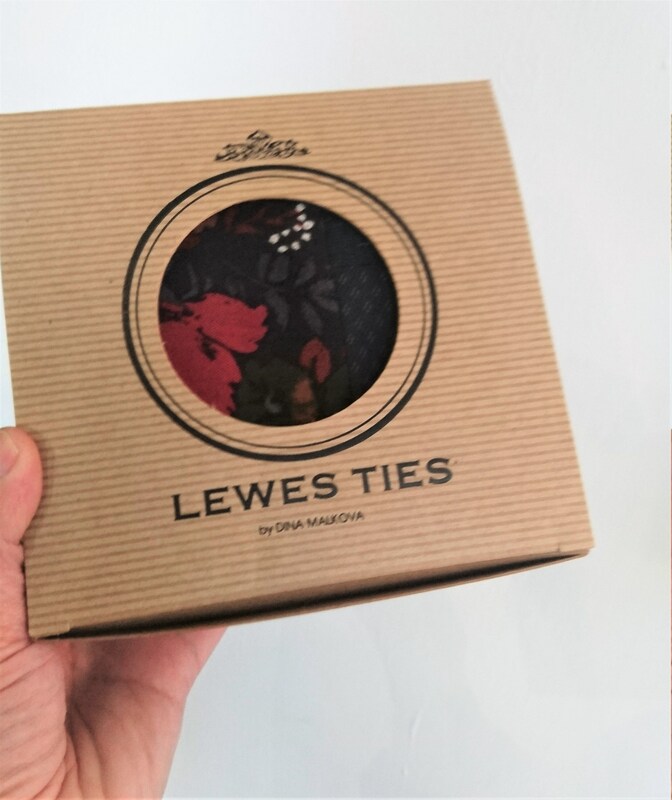 Each Lewes Ties scarf is handmade in our atelier in Lewes. 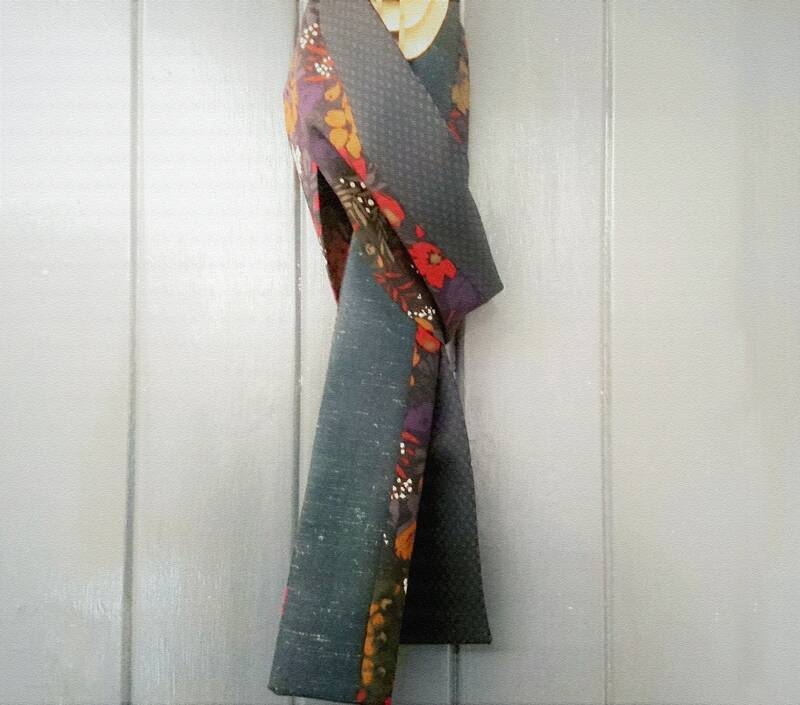 This scarf will make a great present as it nicely presented in a box made from recycled paper.